What sets Pay Solutions apart from Competitors? 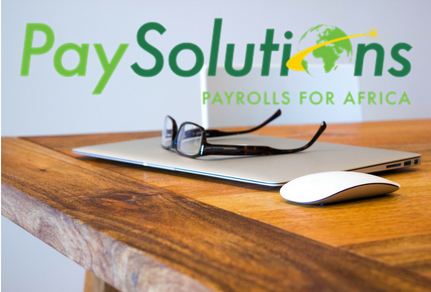 Pay Solutions offer the best of both worlds for any company hoping to find a real solution to the HR and Payroll administration backed by the best technological advances to ensure that your payroll and HR is simple, accessible and accurate. Pay Solution’s payroll and HR system is simple and easy to manage for employees as well as managers. All aspects are your HR and Payroll are pre-set and defined in alignment with requirements from SARS, Department of labour and all other legislation pertaining to your human resources. Pay Solutions expects that each and every client has their own unique identifier and that no two company’s requirements will be identical. Within the constraints of certain legislation, companies have the freedom to set their payroll and Hr up to meet the needs of their business. Made to spec payroll and HR can be set up at initiation as well as at any later stage within your business growth. Off-site cloud-based systems provide a high level of accessibility for users which is something that this generation of business person has come to insist on for flexibility as well as continuity of business. Accessible from your computer, laptop, phone or tablet you are assured that you can reach any information that you require as long as you have access to Wi-Fi or data. Gone are the days of waiting until you return to the office to check the answers to any of your customer’s questions or employee’s queries. Simply log on and access the desired information whenever necessary. At take on of an employee, all relevant information pertaining to the employee can be captured into your payroll system such as qualifications, licenses, skills, training, KPI’s, personal documentation. The scan and upload ability mean that employees can perform their own HR functions such as capturing medical certificates effectively meaning that there is less need for personnel to handle those functions. Should any of our clients require access to personnel who can guide and provide advice regarding HR or Payroll, Pay Solutions has a team of enthusiastic and expert professionals who assist telephonically; via email or even in person should a site-visit be required. Having access to these professionals’ means that you will always be in the know when it comes to any regulations which need to be administered. Your payroll system is updated regularly with any new legislative requirements ensuring that your information and data is always up to date and accurate. Automatic systems updates mean that you are not required to manually update and are always advised automatically of any changes.